This e-juice comes in a 60ml unicorn bottle. This vape juice comes in a 60ml unicorn bottle. 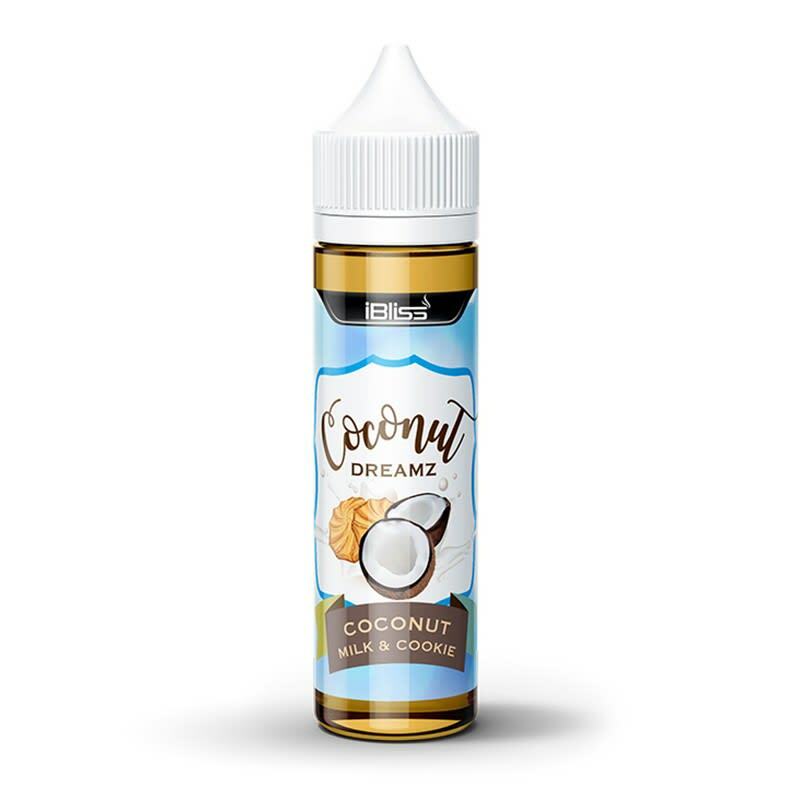 I love coconut and this juice I would recommend for those individuals who prefer very light flavors. When I vape this juice its like breathing in thick tasteless air. The coconut if very very very subtle. Not gonna be my everyday vape, but a great taste for something different. Not as strong coconut flavour as I was worried it would have. excellent! I found it to be a nice balance between the coconut milk and cookie flavours, neither really overpowered the other. Kind of taste like those cookies that come in the tin your grandma uses to keep her sewing stuff. Ooooo is this stuff ever good! Light and sweet with a desserty aftertaste. Exactly my style. Vaped it all day, thick clouds. flavor is pretty unique. I haven't vaped anything this different and smooth in a while. A sweet, subtle coconut cookie flavour, exactly as advertised. Love the fact that it comes in 60ml.